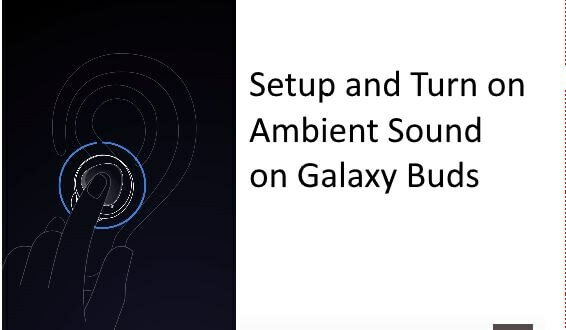 Where is the option for how to enable and turn on ambient sound on Galaxy buds? ambient sound is really helpful to listen to background voice and noise in a silent area life office and home. By default settings is off, so we need to enable manually from the settings that come in Galaxy wearable app. Steps are very simple but the problem is there the option is automatically turn off when you put galaxy buds into the case for a charge or not in use. Right now the people are facing the issue and everything to keep this option enabled all time after enabling it manually from the settings in the next update. auto turn off after re-use buds for listening. 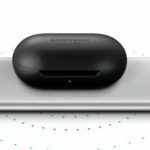 How to quickly switch ambient sound on Galaxy buds. 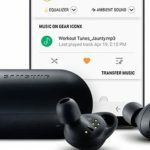 Put your buds into the ear and connect to your device. 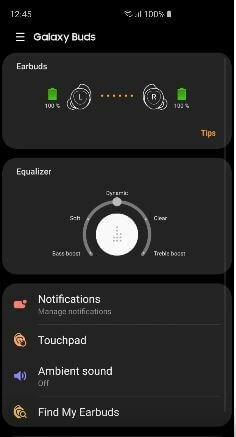 1. open Galaxy wearable app on your Galaxy S10/S10 Plus or any other Android mobile. 2. Tap on a touchpad. 3. Tap on left or right earbuds. And get the option for turn on ambient sound: select quick ambient sound. 4. 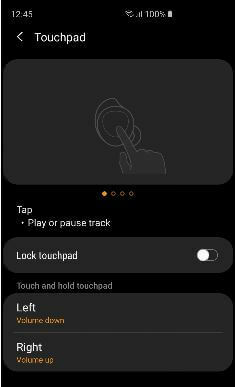 Now on your galaxy earbuds press and hold on a touchpad, until you listen to music backup in the background. After that release the finger from the touchpad and now it enabled. According to recent settings cannot take permanently I mean you need to activate an ambient sound when you put buds into ear. 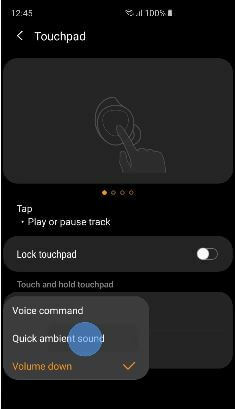 Don’t go wearable app settings, just touch and hold on touchpad until the sound goes up. Now you are ready to listen to people’s voice, and other background noises through your headphones. Hope that Samsung will add this in the next update, till connecting to us and thanks for you.